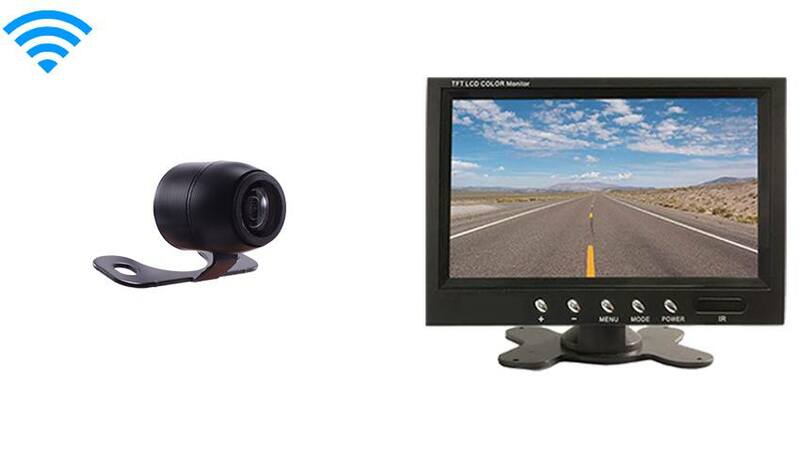 7 Inch Monitor and a Wireless Frontal Camera Great for All Vehicles! The Front Facing Bullet backup camera is mounted in any discreet location on the front of the vehicle for a clean and secure look. The backup camera has a 120° angle which is best for Cars, SUVs, and Trucks. With 120° everything in front of the vehicle can easily be seen, it is also color, waterproof and has military grade night vision. The backup camera is also durable for use in the roughest weather conditions. It can be angled downwards or upwards if necessary for an ideal view. This camera is also a wireless camera so there is no need to run cables through your Car or RV. TadiBrothers only sells one type of wireless camera because it's the ONLY one on the market that is reliable.